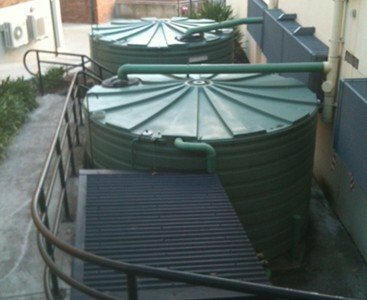 Tanks are used to store stormwater coming from the roof of a the school buildings. two 22,500 litre heavy duty tanks. Tanks that are designed and built to suit commercial and government facilities. The capability to deliver tanks to difficult locations.